In the Madhya Pradesh polls today, as many as 2,899 candidates, including 1,094 independents, are in the fray. While BJP is contesting all the 230 seats, the Congress has fielded 229 candidates. With a number of issues, such as anti-incumbency, the agrarian crisis, and others, will BJP be successful in forming the government for the fourth time? New Delhi: The Madhya Pradesh elections are keenly watched as the state is a BJP stronghold. The BJP is eyeing a fourth straight term in office, while the Congress is hoping for a comeback in the state which was once its stronghold. The battle of ballots is just months ahead of the Lok Sabha polls slated in the first half of 2019. As many as 2,899 candidates, including 1,094 independents, are in the fray for the 230 seats, but the main contest is between the Congress and BJP — the Big 2 of MP politics. The state has 5.04 crore, eligible voters. BJP has won it 3 times and is looking at the fourth time. In the 2013 Madhya Pradesh Assembly elections, the BJP won by a large margin. Religion is an important factor for the state. Congress is known to be a pro-Muslim party but was seen promoting its soft Hindutva stand during the campaign. With frequent temple visits by Rahul Gandhi, Kamla Nath and Jyotiraditya Scindia and assurance of cow protection and other similar steps, Congress is doing its best to woo some of Hindu votebank. Here's the voter breakup by religion and caste in Madhya Pradesh. Majority of the state lives in rural areas. The Chouhan government delivered high rates of agricultural growth, but farmers have not got the prices they aspired for. The issue blew into major protests in Mandsaur last year, in which farmers died due to police firing. The government was quick to introduce sops for farmers, such as the Bhavantar scheme in which the government either meets the gap between the market rate and Minimum Support Price or provides a flat bonus. The scheme has worked in some pockets; but many farmers complained of delay in payments and procedural difficulties. 4. Region wise, Mahakoshal and Baghelkhand consist of more tribal population and the Gondwana Gantantra Party has hurt the Congress here in previous elections. The Bundelkhand and Chambal-Gwalior region has a significant BSP presence, whereas certain pockets of bordering districts of Uttar Pradesh have some Samajwadi Party influence. The Malwa and Bhopal regions are dominated by the BJP and the Congress. Across the tribal belt, joblessness is a major issue. Despite government claims of creating jobs for all, the Opposition has highlighted the absence of jobs and minimum pay. 5. The magic number to rule MP is 116. And the number of reserved seats in the state is 82, at 35 for SC and 47 for the ST category. BJP is famous among the upper castes, OBC (Other Backward Classes) caste groups, adivasis and a segment of Dalits, who had voted for the party last elections. This time, voters reportedly upset with the Centre restoring the original provisions of the Scheduled Castes and Tribes (Prevention of Atrocities) Act, others are upset with the Chouhan’s support for SC/ST reservations in promotions in government jobs. 7. 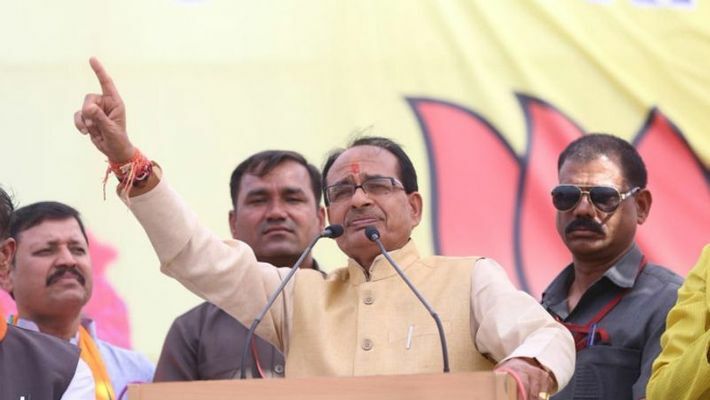 The BJP has been the dominant force in Madhya Pradesh since its win in 1990. The state is also very important for whoever wants to win Lok Sabha polls that follow. While CM Chouhan is fighting anti-incumbency after BJP rule of 15 years. The Congress has some basic problems absence of grassroots organisation and factionalism, resource crunch and lack of a CM face. The 16 bellwether seats to watch out for as Madhya Pradesh votes are counted. Nepanagar got it right in the last 9 elections, Badnagar picked the winner in 7.